A unique raised-table setting sets the stage for two circles of mirror-finished polished silver that intertwine with three sparkling rings of CZ-encrusted open rings. 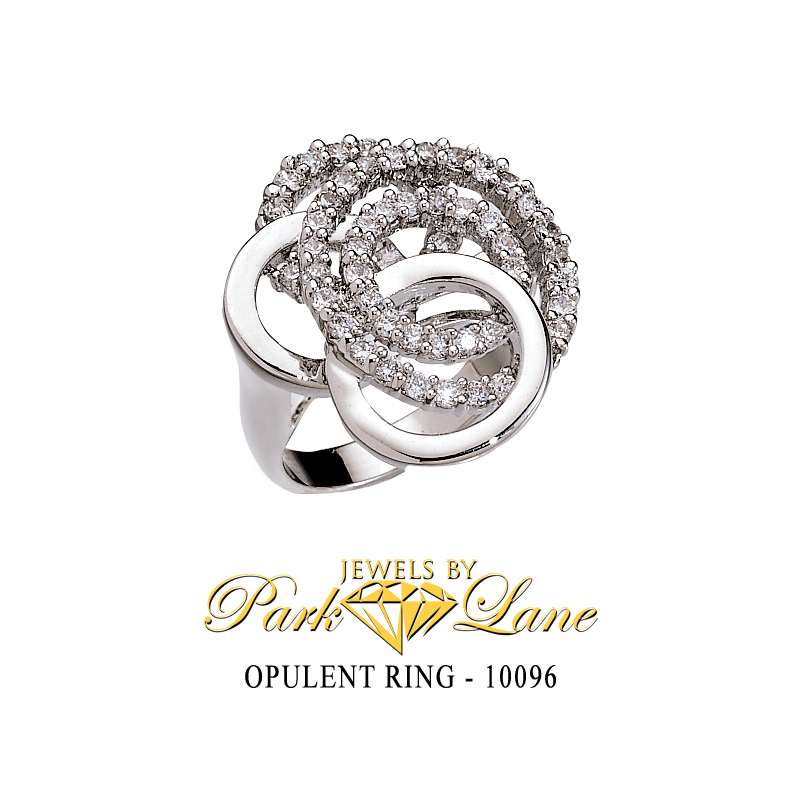 Reserved exclusively for Park Lane hostesses, Opulent ring is a real show-stopper! Opulent ring is available in sizes 6 through 10. Complementing jewelry: all silver & CZ/crystal jewelry. Specifically coordinates with Opulent, Sunburst, Sharper Image-silver, Infinity, Park Avenue, Phenomenal, Oh!, Eva, Dreamgirl, Glamorous ensembles. Stiletto earrings.